The 1.8 million s.f. 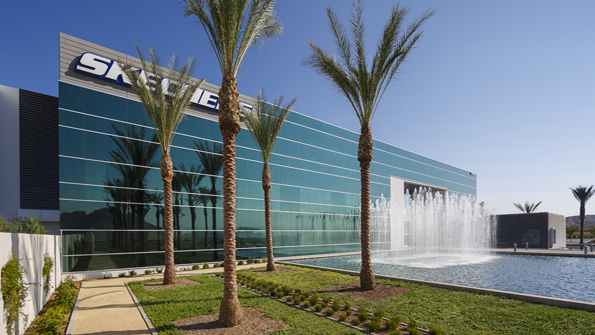 Skechers World Distribution Center building is the largest warehouse in the western US, and occupies an 88 acre site adjacent to Hwy 60, in Moreno Valley. 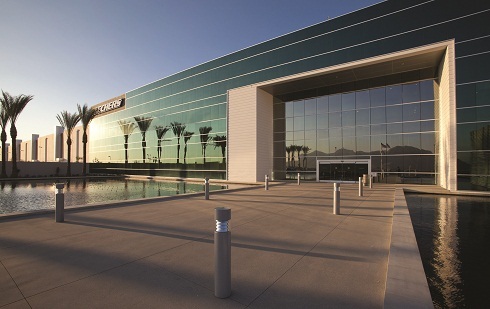 The warehouse facility includes a corporate entrance plaza with a ‘floating jewel box’ building that dynamically engages a large-scale water feature. The retail outlet entry and adjacent plaza terrace are lined with palm trees, along with shaded seating opportunities. Monumental blade/marquise signs lead the way to the retail entry and provide oversized graphic advertising and merchandising for the outlet store. 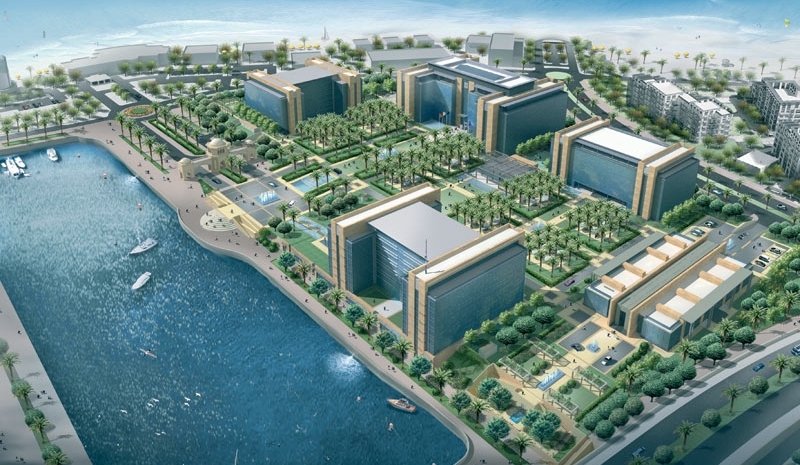 The surrounding simple plan material palette was selected for its architectural and textural characteristics, as well as its low water-use adaptability.